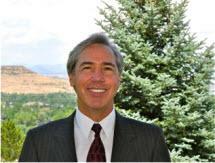 Fred Bibik earned his Juris Doctor degree from the University of Colorado School of Law, and went on to earn his Masters of Law degree from the University of Denver Sturm College of Law. He began his career with the District Attorney's Office in the First Judicial District (Jefferson and Gilpin Counties) where he prosecuted misdemeanor and felony cases. Fred left the District Attorney and joined a prominent Jefferson County law firm where he worked for individual and business clients in a wide range of legal matters. Fred currently limits his practice to criminal defense, emphasizing defense of Domestic Violence matters. He accepts criminal cases in all misdemeanor and felony matters, and also offers defense of alcohol-related driving offenses. Fred represents attorneys in matters before the Colorado Office of Attorney Regulation Counsel, and acts on behalf of clients who believe their attorneys have committed legal malpractice. The Equal Justice Foundation and DVMen.org have granted Fred their highest recommendation for legal representation in the defense of Domestic Violence matters. He is a member of the Colorado Criminal Defense Bar, the Colorado Bar Association, and is ranked among the 100 Best Trial Lawyers in Colorado.